Forget the honey pot. 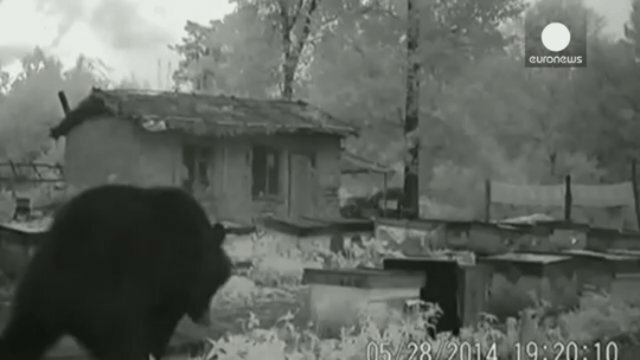 This bear is going straight to the source. 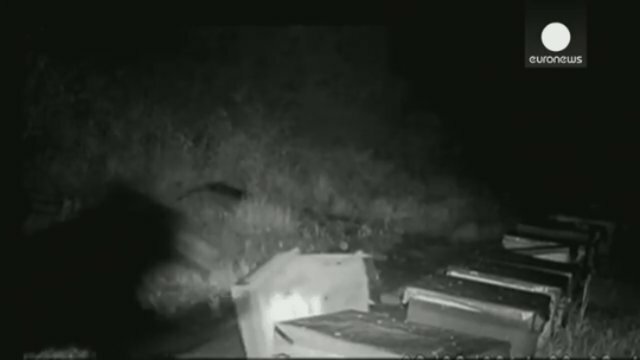 One now-infamous bear in northeastern China has been caught on tape stealing honey from a natural reserve's bee breeding facilities. This fella is an Asiatic black bear, which is endangered thanks in large part to logging, habitat loss, and hunting: this species is valued in traditional Chinese medicine for its gall bladder and paws. The Asiatic black bear is an omnivore that lives mostly on vegetation, nuts, and insects, though of course it adores honey -- and this bear has stumbled onto the goldmine! Asiatic black bears are also known as "moon bears" thanks to the crescent-shaped white blaze across their chests. This bear seems less concerned with showing its stripes than getting at the honey in those tricky cages. Unfortunately, unlike our lucky friend here, many moon bears in China are hunted for their paws or skin or farmed for their bile, which is stripped from caged bears' gall bladders in a painful, drawn-our process. 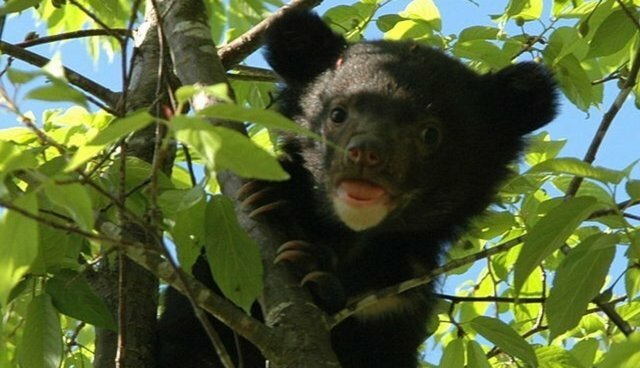 Organizations like the Animals Asia Foundation have stepped up to advocate for a ban on bear bile farming in China. 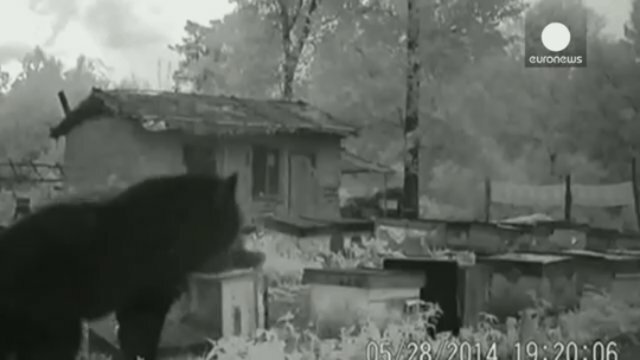 This bear's modus operandi is to flip over the beehives and use its mouth to nudge them open, then run away until the bees have dispersed, to protect itself from stings. 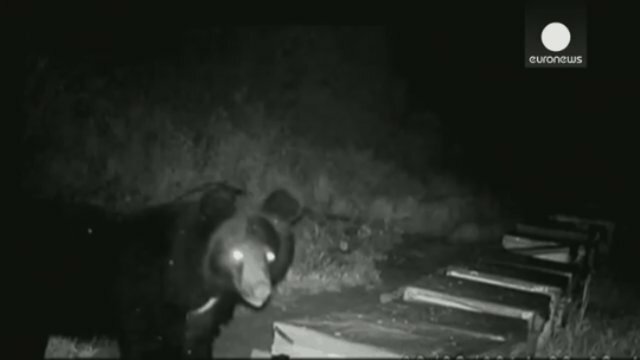 Smarter than the average bear, or just clever enough to bring home the bacon? Turn over a new leaf? Nah. 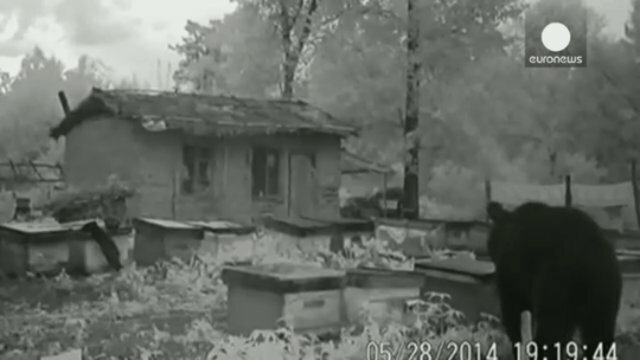 Workers noticed missing beehive cases starting at the end of May and chalked them up to local wildlife, but then they found video documentation of their honey-loving visitor. 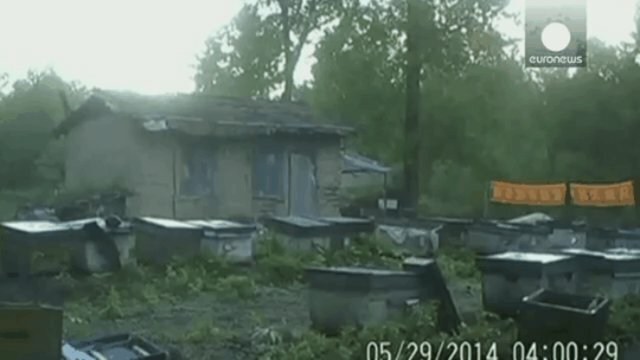 Between May's end and the first few weeks of June the bear burglar destroyed over 70 beehives. Once the bees have left the premises, the bear noses around for every last drop of honey. Ahh, the sweet taste of success! Off on another bear-y sweet adventure! Find out more about bear bile farming in China and what you can do to help end it.